Dr. Patrick M. Murphy, Au.D., M.Ed., CCC-A, FAAA is a board certified and licensed private practice audiologist in Doylestown, Bucks County, Pennsylvania. He obtained a Doctorate in Audiology from A.T. Still University of Health Sciences in 2016, a Master of Education degree in Audiology from the University of Virginia in 1987, and a Bachelor of Science degree at Frostburg State University in 1980. 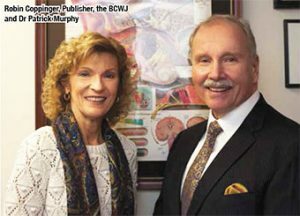 Dr. Murphy has firsthand experience with hearing loss. He has a bilateral mild-to-moderate sensorineural hearing loss and wears binaural completely-in-the-canal digital amplification. “After working in the Washington DC area for about four years, I realized that I was unsatisfied with the direction I was going in. I wanted to get into a profession where I would be able to work for myself and also help myself. I’ve had the hearing loss all of my life, but it was never properly diagnosed until I was 26 and in the graduate program at the University of Virginia. I attended UVA from 1984 to ’87 in the three-year Master’s program for audiology. I decided I wanted to go into private practice, work for myself, and also be able to help myself since I’ve got a hearing loss and I needed hearing aids. Four Mile Swim Awards, High Score for Rifle at Camp Potomac 1974, Lead Troop in attaining every National Scouting Award for the Bicentennial. Project Chairman for ten semi-annual food, toy, and clothing drives in the area. He has been a board-certified and licensed audiologist in private practice since 1987 and has an office located in in Doylestown. At the end of October 2016, Patrick completed his Doctorate in Audiology at A.T. Still University (ATSU) in Mesa, Arizona. Dr. Murphy, 58, contemplated pursuing this doctorate about the same time he began writing for BCWJ. After practicing for 17 years, there was no requirement in the Commonwealth of Pennsylvania to maintain licensure, nor a change within the profession dictating the acquisition of this degree for board certification. In late 2013, Dr. Murphy began the process of completing the EPAC (Evaluation of Practicing Audiologists Capabilities) in seeking admission to ATSU. The EPAC is a 16-page document to be completed and supplemented with a variety of material including copies of professional and consumer articles; a list of public speaking topics presented to professionals and the general public; copies of academic transcripts dating back to 1975; 25 years of continuing education completed; letters of recommendation from colleagues; completion of a 179-step professional measure; a copy of a professional curriculum vitae; a minimum employment work history of 5,760 hours (Dr. Murphy has more than 92,000); licensure, certification, awards, professional memberships, and more. The independent Credentialing Services Agency provided a quantitative score of 989 out of 1,000 based upon the quality of Dr. Murphy’s submission reflecting his education, knowledge, and experience. He enrolled and completed the course load at ATSU between June 2015 and October 2016. 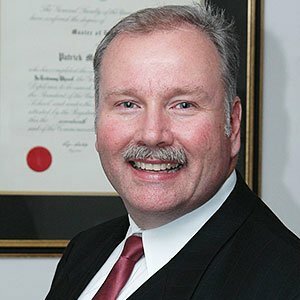 Dr. Murphy began his college studies in 1975 at the end of his junior year in high school. After graduating from Allegany Community College (now Allegany College of Maryland), he enrolled at Frostburg State College (now Frostburg State University) and graduated with a Bachelor of Science degree in May 1980. After four years working in the suburban Washington, D.C. area, he applied and was accepted into the University of Virginia audiology Master’s degree program. Following three full years of coursework, clinical labs, and clinical rotation, he obtained his Master of Education degree in Audiology in May, 1987. At that time, he interviewed for a clinical internship year based in Bucks County. 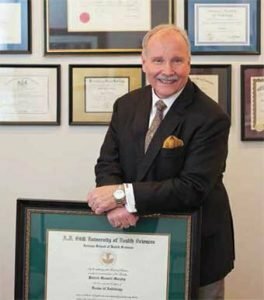 In June 1988, Dr. Murphy completed his internship and obtained his board certification from the American Speech-Language-Hearing Association. 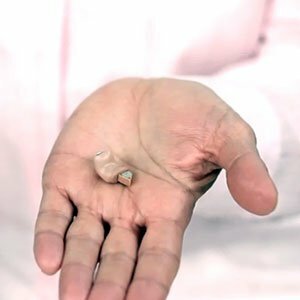 Thereafter, he obtained his audiology icense and became a registered hearing aid dealer. Dr. Murphy’s private practice was primarily focused on providing services to residents in retirement communities, nursing homes, and rehabilitation centers as wel as patients confined to their own homes. In October 1995, he opened his office located at 330 North Main Street in Doylestown for patients to be seen by appointment and maintained a schedule for patients in facilities. Dr. Murphy has a lifetime of experience in helping others. During his years with the Boy Scouts and earning his Eagle Scout rank, he served his community in a multitude of projects for those less fortunate. His Eagle Scout project was to coordinate canvassing across six towns gathering food and toys for the needy. He then joined the Jaycees in 1976 as a charter member in his hometown, serving on the board of directors and as external vice president, internal vice president, chapter president, and regional director for the Maryland Jaycees. Dr. Murphy’s many local awards include chapter Jaycee of the Year, Distinguished Service Award, Project of the Year, and many more. In the Maryland Jaycees, Dr. Murphy was recognized as Outstanding Internal Vice President, Outstanding Chapter President, and Outstanding Regional Director of the Quarter, all while leading his local to a Top 10 ranking. In 1980, he was a nominee for the Maryland Jaycees’ Five Outstanding Young Marylanders. That same year, he was named one of the Outstanding Young Men of America. When he moved to Virginia, Dr. Murphy’s involvement in the Jaycees continued. He served as the State Chairman for Hearing Awareness, Chapter State Director, and Chapter President. In 1983, Dr. Murphy was recognized as the Top Chapter Prsident in his division and was in the top five statewide. He was one of the first three people from Bucks County to be called upon to travel to Jackson, Mississippi to provide disaster relief for Hurricane Katrina survivors in September 2005 and received a Certificate of Appreciation from the American Red Cross. 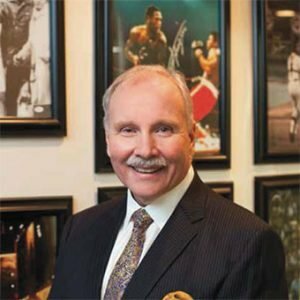 After graduating from IVA, Dr. Murphy defined his scope of practice around his patients to provide the best audiological care, fitting amplification, and industrial hearing conservation programming for his industrial clients under OSHA regulations. He became interested in the profession of audiology in the early 1980s due to his own experience having a bilateral sensorineural hearing loss. In his quest to become an audiologist, Dr. Murphy also learned about himself, confronted his own disability, and wears binaural digital amplification. He helps patients like himself. Dr. Murphy has helped treat thousands and thousands of patients over the years with the goal of providing better hearing. He takes all the time necessary to make his patients feel welcome and to ensure they receive customized services for a better quality of life. He welcomes all new patients to his practice. Dr. Murphy resides in Doylestown with his wife Jackie and their two dogs, Coco and Daisy. Time permitting, he enjoys working on his baseball museum in his home, adding to his collection of autographed photographs for his office, reading, playing trumpet, holding season tickets for Trenton Thunder minor league baseball (donating many tickets to Thunder charities for the underprivileged), and vacationing in the Outer Banks of North Carolina and London, England. Dr. Murphy is available for public speaking on a variety of topics in the realm of hearing loss, digital amplification, and more.